Professional Courier Services is a small family run business based just outside Invergordon in the Scottish Highlands. 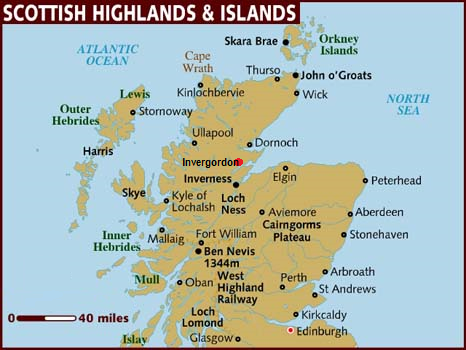 We provide Express Same Day Courier Services and a Overnight Courier Service from the Highlands Region to anywhere throughout the UK. Specializing in urgent and express delivery of your parcels and packages to their destination directly. At Professional Courier, we provide a same day professional, reliable and dedicated door to door delivery service. We aim to offer the best competitive service that your money can buy, tailored to suit your needs. As a small independent business, our reputation is what we rely upon, and therefore, we are happy to go the extra mile to ensure your satisfaction is guaranteed. Whether it's a small parcel, urgent documents or a multi drop schedule, so long as it fits in one of our large estate vehicles it will be delivered on time. Getting your Urgent Deliveries and Packages there on time! As an established Same Day Courier we provide a reliable and competitive Parcel, Document and small package delivery service for Individuals, Small Business and Companies. Various same day business parcel delivery services in the UK offer different value propositions to customers, but our major benefit is the enhanced reliability that we offer. We commit, and deliver as promised with our Same Day Courier Services. Also delivering to other parts of the country on a same day delivery, such as; Aberdeen in 3 hours, Edinburgh and Glasgow in approx 5 hours. Manchester 7.5 hours. Whether it’s a Same Day Courier Service or Overnight Courier, we have the plan of action in place to ensure customer satisfaction. At the forefront of our policy is complete dedication to customer satisfaction across the Northern Scottish Highlands. We have set standards for ourselves that constantly drive us to exceed customer expectations in Customer service and Courier Service.